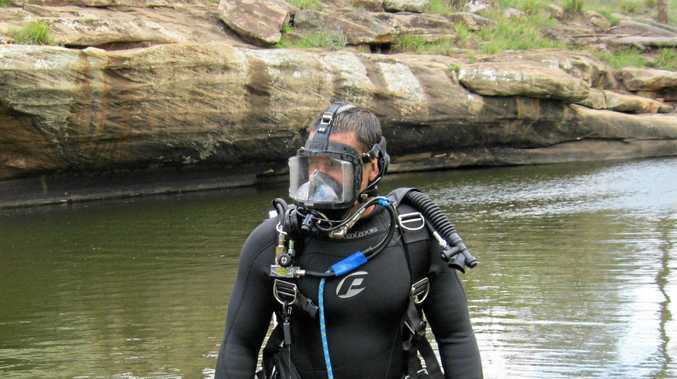 AN ANONYMOUS letter addressed to Warwick Police and a number of other tip-offs led a squad of police divers from Brisbane to uncover a stolen car in the depths of a popular swimming hole near Emu Vale, east of Warwick. 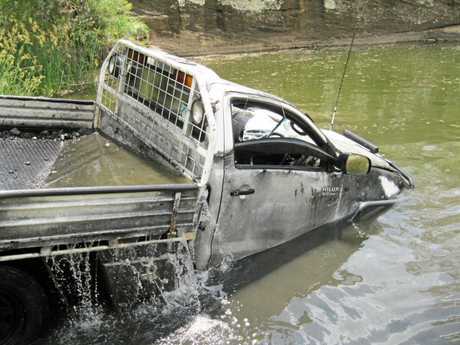 On Wednesday, four divers searched "The Rockies” and found a Toyota ute that was reported stolen from Rose Bud Court in Warwick on August 8. 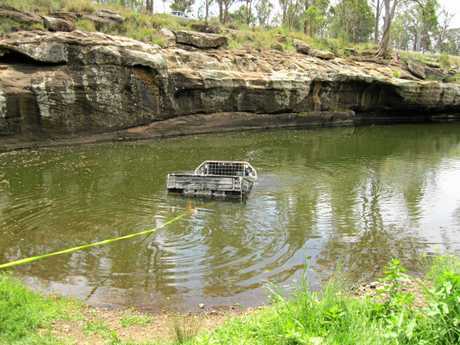 Sergeant Brad Doyle said it was clear the ute had entered the water from a rocky ledge above the waterhole where people are known to swim, especially in warmer months. "It was possible there could have been a safety hazard,” Sergeant Doyle said. Members of the surrounding community have expressed their concern about the risk to children and teenagers who use the swimming hole. "...what I worry about with you guys jumping off those rocks...you don't know what's in the water,” Kerrie Rubie commented on social media. Sergeant Doyle said a team of four police divers used ropes and a local towing contractor to pull the ute from the swimming hole. "It took about 20 minutes to locate the vehicle and then it was pulled out of the water,” he said. 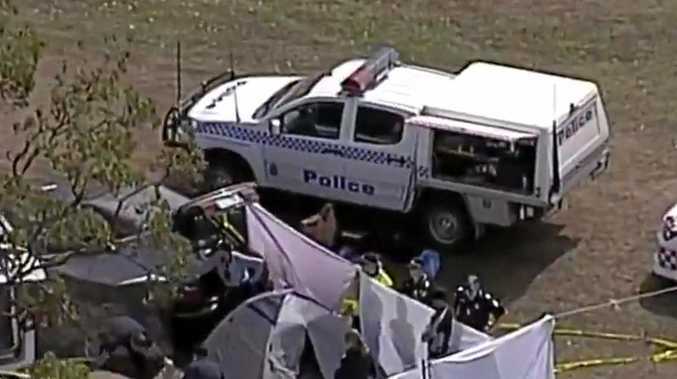 Police said those responsible for dumping the ute demonstrated "complete disregard” for the safety of anyone swimming or the environment "they polluted with fuel and oil”. Sergeant Doyle said Warwick detectives were still looking into the case and were appealing for the author of the anonymous letter to make contact with the Warwick Police. Police urge anyone with information about this incident to contact Policelink on 131444 or Crime Stoppers on 1800333000.